Do we sell moving accessories? Of course we do, and our vast array of choices will make your packing decision an easy one. 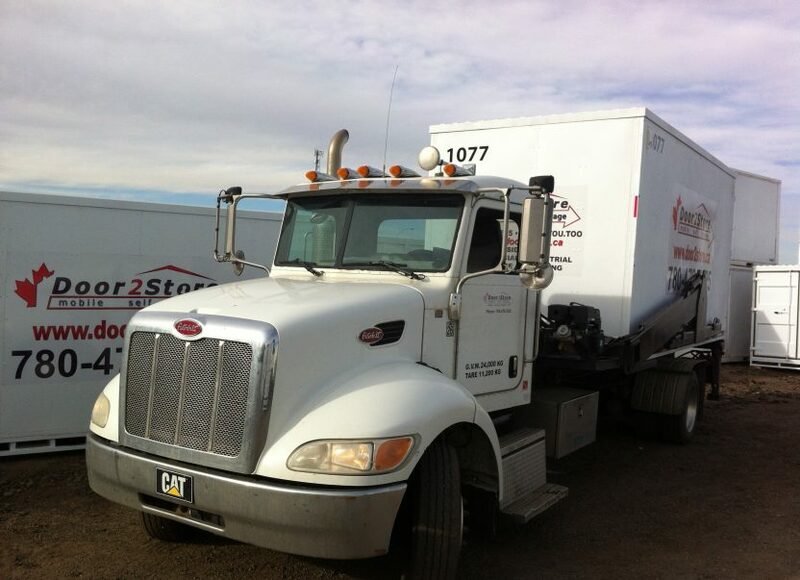 Door2Store is a family owned and operated Edmonton based self storage company. Use our online get a quote form or contact Door2Store and speak with one of our representatives to find out how we can meet your storage/moving needs. 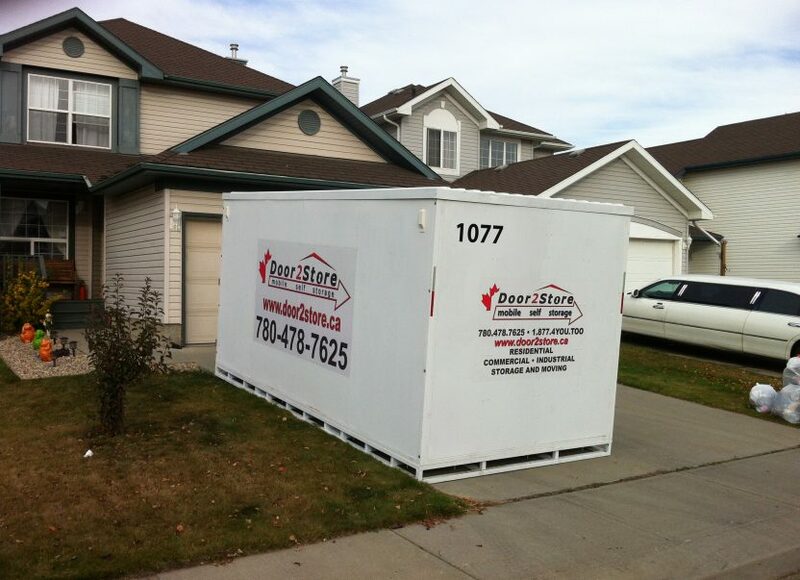 When it’s convenient for you, Door2Store will deliver your self storage container right to your home or business. Pack up your self storage container at your own pace. Keep it at your location as long as you like. We’ll pick up your container and relocate it for you, or take it to our secure and convenient storage location for quick and easy access. Let us safely and securely store your container in a convenient location for quick and easy access. 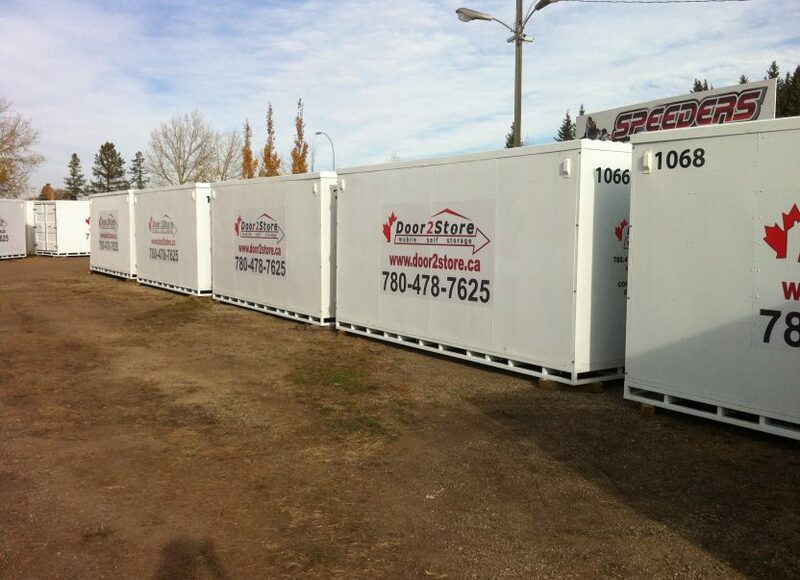 How much does a mobile storage container cost? Renting a storage unit can be an extremely cost effective way to complete you move, renovations and/or store your belongings for as long as you need! Call and speak to one of our representatives at 780-478-7625 or toll free at 1-877-4YOU-TOO for a quick and simple quote. If you’d prefer, fill out our online form to get a quote via e-mail. When is my storage payment due? Your storage payment comes due every 28 days. The first month’s rent, as well as the first delivery and pick up fees are due up front. Can a container damage my driveway? Door2Store mobile storage containers are made specifically for safe and secure storage both inside our lot, and at your property. Our steel units will not cause any damage to your driveway or street. Units are gently loaded and unloaded vertically, on and off of your property, using our one of a kind offloading system. Storage units are never dragged or slid off the back of a truck. Door2Store would be happy to provide you with and packing and/or moving supplies you may require. Speak to one of our representatives to find out about our extremely affordable and convenient moving packages, or to create a specially designed supply order to fit your needs. I would like to take this opportunity to thank the Door to Store family for their outstanding service the spring of 2015. Because of unforeseen circumstances, I had to change my moving plans and therefore my storage plans a few times. Wendy was consistently understanding and accommodating, pleasantly rearranging our agreement to meet my needs at every turn. The Door to Store family – Wendy, Jason, Fred, Trevor and the movers who actually did the heavy lifting, were all very professional, engaging and fun to work with. I hadn’t moved in 22 years and was overwhelmed by the idea. The Door to Store family made the whole undertaking, from the moment I first called their office and spoke to Wendy, to taking the bins to their storage facility for 5-6 weeks, through to them delivering and unloading my possessions, actually an enjoyable experience. I would highly recommend this local company to anyone requiring this type of service. Their professionalism, customer service and reasonable rates, in my opinion, earn them the highest possible rating I could give. Thank you to your team for making this huge undertaking go so smoothly and so easy, even with all the changes I had to make. Our company proudly backs its services and products and will do what it takes to earn your business and take all reasonable measures to keep you satisfied.